New with tags. Gap Khaki Denim Jacket. Size M. Chest 38". 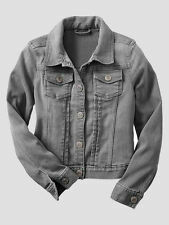 French Connection - Womens Denim Jacket size 10 - new without tags!